My beautiful sister-in-law, Roxann, gave me the honor of making the cake for her birthday. Her request was Hello Kitty with animal print or damask and of course red velvet. 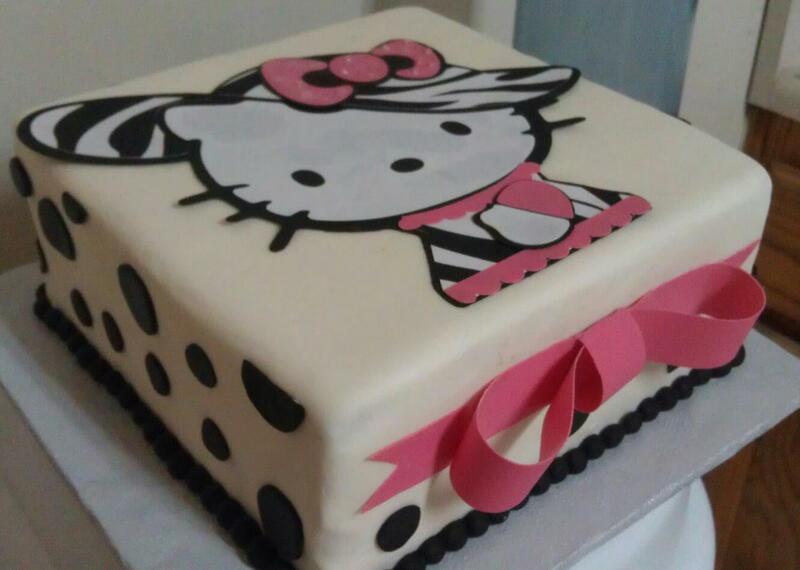 I used my Cricut Cake and Wilton's Sugar Sheets to cut out Hello Kitty - I loved how it turned out, however, was a little sad to cut it. 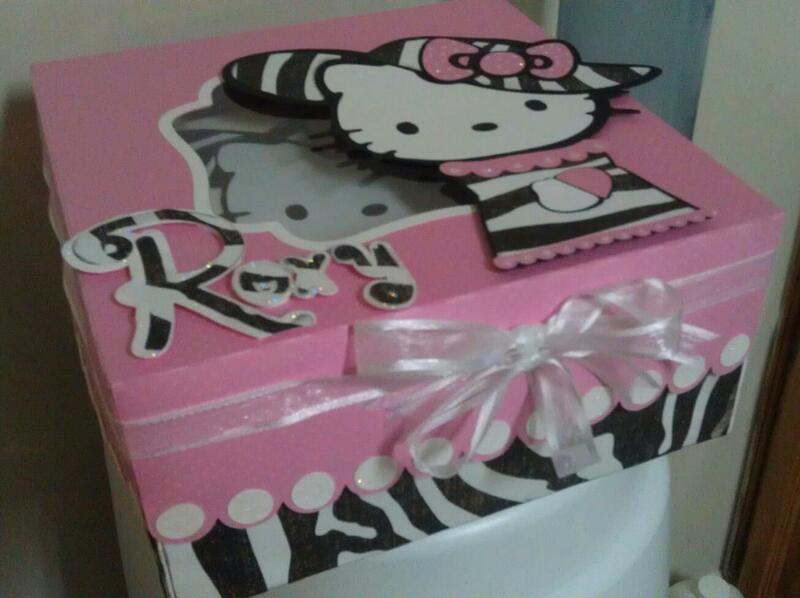 So, I made a custom cake box that she could keep after th e cake was gone. oh my gosh that is adorable!! Now I want one to make cakes with too lol. Wow! What a fabulous cake--I would have been sad to cut into it too! I have a little guy's birthday this month too-that I need to start thinking about the cake for! Super cute cake!!! My girls would die for a cake like this. Great job! This is just AMAZING! What a great idea to make a cake box for her! AWESOME job! Thanks for sharing! This is too cute! AMAZING! I have been googling lon using Sugar Sheets in my Cricut Cake. I got a Cricut Cake for Christmas and it is still in the box. I can't figure out what to do with it :) DO you have any tips for using the Sugar Sheets in it?! Dang girl I love your cakes and boxes. You are one talented lady.